Human beings have a long evolutionary history. We did not magically appear out of the ether. We evolved from simple species and still retain most of the biological apparatus that our ancestors used several hundred million years ago. Though we possess higher intelligence, much of our behaviors is not very different from our non human ancestors. The reptilian nervous system, including the brain stem and the amygdala in the brain. Make sure you learn these technical terms because there will be a pop quiz at the end of this article. Alright, alright, I was just joking. 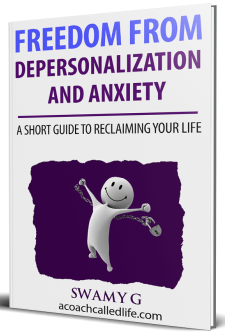 There will be no test, but know that these three parts of your brain and body control most of your behavior including anxiety, panic, and depersonalization. Our reptilian nervous system was the first to evolve. It is a tried and tested piece of fine machinery that we share in common with animals like rats, snakes and even fish. It is blazingly fast to respond to a stimulus but lacks the ability to perform complex tasks, like reasoning or understanding language. We then evolved our mammalian limbic system that regulates a number of behaviors using hormones, feelings and emotions. Only recently in the evolutionary timeline did we develop a portion of the brain that distinctly made us human. 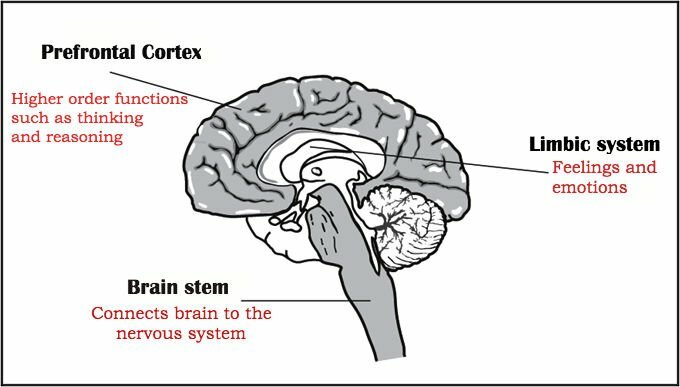 This was the prefrontal cortex, and is responsible for information processing, reasoning, language, thinking and making us laugh whenever we hear a joke. The reptilian nervous system is directly responsible for our survival, and one of its main duties is to scan the environment for threats and alert us, immediately, once it finds one. You might ask what all of this has to do with anxiety. Well, anxiety was previously known as “nervous disorder,” or at times, colloquially as “weak nerves.” The nervous system, which includes the amygdala (a small region in the brain), is primarily responsible for producing feelings of anxiety, fear, panic and dread. When the nervous system detects a threat in its surroundings, such as a snake slithering nearby, it immediately instructs the amygdala to produce a sensation of fear so the organism, whether a small rat or a human, can quickly take action and get out of danger. But sometimes our nervous system can become extra sensitive and start to raise alarm bells even when there is no real threat. 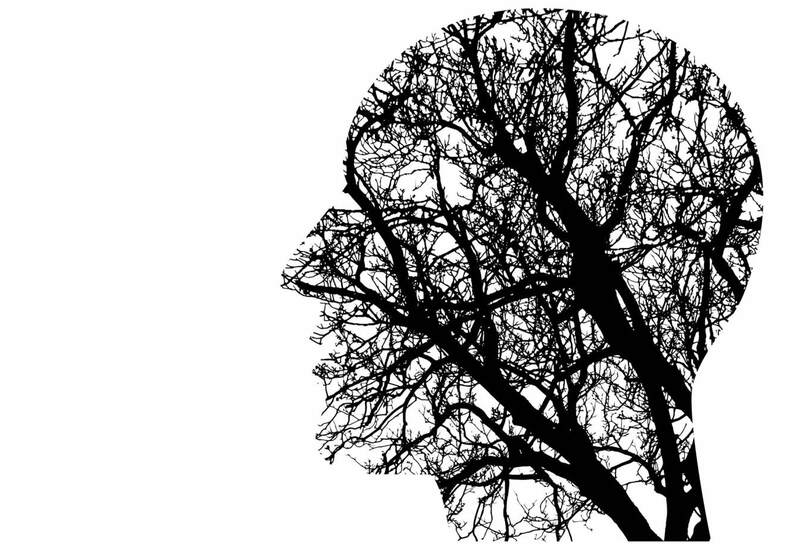 Furthermore, our nervous system cannot distinguish between external threat in the outside environment and internal threats coming from inside our own bodies and minds. Even a thought can trigger the nervous system. This is the blueprint of an anxiety disorder. Whether through trauma, such as an automobile accident or a difficult childhood, where we had to always be on the lookout for danger, our nervous system can become hypersensitive to threats. There’s also vast evidence supporting the fact that such an oversensitive nervous system can be genetically inherited from anxious parents. Slowly, over time, our nervous system becomes hyper-vigilant and is constantly on the lookout for threats, even in places of leisure, such as the park or inside a sauna. So, when anxious people are sitting on the train, and it goes into a tight dark tunnel, it can trigger alarm bells. For someone with normal sensitivity, they would not feel as claustrophobic as someone with an over-sensitized nervous system. When people with highly sensitized nervous systems step out of the safety of their homes, a threat signal is fired immediately, even when there isn’t any apparent danger. Realizing this fact can sometimes be very relieving. When we understand that the reason we experience tremendous fear, anxiety, or panic is due to our highly sensitized nervous system, it removes the mystery behind why we are the way we are. It can help calm us down. Our nervous system is an ancient one. It evolved before there was language and thought. Unlike the advanced prefrontal cortex, which understands human language, the nervous system cannot be reasoned with. When you experience anxiety or fear, you cannot argue with your nervous system to make it stop what it was designed to do. So, what can one do to desensitize their nervous system? When you’re having a nervous episode, or seized by overwhelming anxiety, you can follow my 4-step RASP technique to calming your nervous system. RASP stands for Remind, Accept & allow, Shift focus and finally Prevent Feedback. Remind yourself that you are not in any active danger. Your over sensitized nervous system has decided to raise the alarm, even though there is no real threat. Just reiterating to yourself the fact that there is no external threat is enough to calm you down a little. Accept and allow the fear in. Let all the scary thoughts come and go, whatever they may be. The more we resist fear and panic, the more intense they become. Move closer to the fear. When we accept fear and let the nervous system do its job, it will then return normalcy after sufficiently warning us. Shift focus to the body sensations that nervousness produces. You might feel compression in your chest; your belly might feel different; or your legs might go weak. It’s all part of the nervousness/anxiety cycle. Accept and allow all of these sensations, while keeping your awareness on your body. This procedure grounds your awareness in the present moment where there is no threat. Prevent feedback of fear. Anxiety and panic operate on fear producing more fear. By understanding that your nervous system is just sending you incorrect fear signals, you are preventing these signals from stimulating your nerves again and again. Do not believe in all the scary thoughts going through your head. They are not based on what is real. Let the fear and anxiety come up from your nervous system and evaporate as body sensations. Repeat the above four steps of the RASP technique until you have naturally calmed down. Over time, by using this technique you can slowly desensitize your nervous system by letting it act out and not feeding it with more worry and fear. If we allow ourselves to experience such unpleasant, and sometimes painful feelings, our nervous system will begin to re-calibrate. Through acceptance we let our nervous system know that we are not in danger. It will slowly lose its sensitization. Given enough time, it could go back to normal sensitivity level. Our nervous system may be a complex collection of nerves operating at ridiculously high speeds, but if it becomes over sensitized, it can cause chaos in our life. Thankfully, humans also have a highly developed and intelligent brain, which can retrain our nervous system back to its original sensitivity, thereby preventing unnecessary panic and anxiety.